Dmitri Shostakovich's Symphonic 'Coup' Shostakovich's Symphony No. 5 works brilliantly as pure music and achieves a "victorious" closer that ends with the triumph of evil over good. 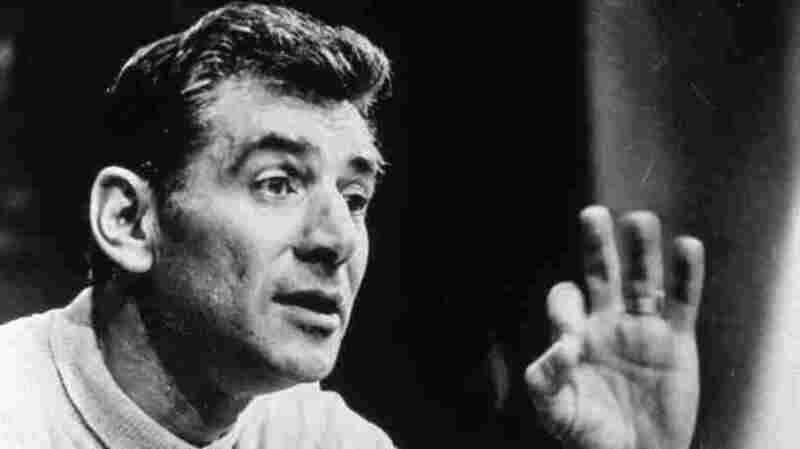 Leonard Bernstein and the New York Philharmonic made their historic recording of Symphony No. 5 exactly 50 years ago Tuesday in Boston's Symphony Hall. 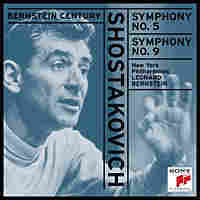 Editor's Note: Leonard Bernstein and the New York Philharmonic made their historic recording of Shostakovich's Symphony No. 5 exactly 50 years ago today — Oct. 20, 1959 — in Boston's Symphony Hall. Completed in 1937, the Symphony No. 5 works brilliantly as pure music, and it has justifiably become Shostakovich's most frequently performed symphonic work. While the archlike plan of its charged first movement may have been borrowed from the corresponding movements in Tchaikovsky's Pathetique Symphony, the treatment is nonetheless devastatingly effective. Here, after a portentous introduction, the strings begin a tense climb from the bleakness toward a rapt, almost visionary lyricism. But there's a grim coloration to even the most consoling moments, and soon enough, the reverie is shattered by a brutally mechanical march. The symphony's second movement, a scherzo-like Allegretto, is not as lighthearted as it seems. The heavy, burlesque tread of its outer portions and the mawkish delicacy of its trio, while humorous, have a lugubrious point that elicits, at best, a grim smile. The following Largo is altogether serious; by turns searing and elegiac, it serves as the expressive heart of the symphony. In the remarkable finale, Shostakovich achieves one of the greatest coups of his symphonic career: a "victorious" closer that drives home the expected message and at the same time makes an entirely different point — the real one. The resounding march that ends the movement represents the triumph of evil over good. The apparent optimism of the concluding pages is, as one colleague of the composer put it, no more than the forced smile of a torture victim as he is being stretched on the rack. There are more than 50 recordings of the Symphony No. 5, but Leonard Bernstein's performance with the New York Philharmonic stands out for its emotion and timeliness. It was made right after Bernstein and the New York Philharmonic returned from touring the Soviet Bloc in the summer of 1959. They spent 20 days in the Soviet Union and performed Symphony No. 5 in the presence of Shostakovich himself. This recording captures the excitement of that meeting. Bernstein conducts the final movement with all the violence, energy and incandescence that he can bring to it. He understood well that this is not a happy ending, and he brings that across in his performance.